Are you ready for the holidays? I’ve been ready since November 1st! This is my absolute favorite time of the year. The hustle, bustle, food, friends, family; all of the holiday happenings make me smile from ear to ear. It’s been years now that I’ve adopted a cruelty-free lifestyle, so I’m thankful that I have family and friends who know how to gift. In the beginning it can be hard to get gifts for your cruelty-free pal. I’ll break it down for you so you can gift beauty that keeps everyone (especially our fuzzy friends) glowing! 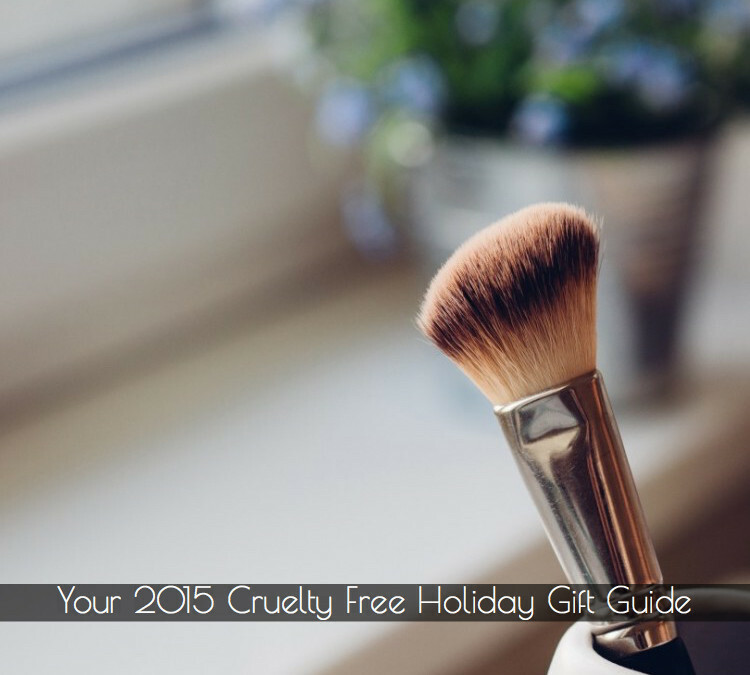 Here is my 2015 Cruelty-Free Holiday Gift Guide. Ellovi Body Butter in Mint Chocolate – These amazing butters moisturize and truly pamper dry winter skin with only 6 simple ingredients. Get into the holiday spirit with their mint chocolate scent. I’ve used their butters on my feet, hands, elbows, and even on my husband! This makes a great stocking stuffer or office gift under $30.00. Secret Santa just got smooth! Pacifica 7-free Nail Polish in Bianca – I love receiving nail polishes for the holiday season. With all of the events and dinners I go to, I like to make sure my nails are on point. Shopping for a cruelty free lady? Get her this lacquer in Bianca, a spicy sultry red that’s perfect for the holidays. I love using some gold glitter by ELF as an accent nail. All said and done, this cute add-on is under $10.00. Perfectly Posh Daily Grind Snarky Bar – Everyone needs to DETOX after the holidays come to a close. Get your animal friendly co-worker this amazing bar to scrub down with every morning! For $15.00, this bar is packed with fresh ground coffee, and raw sugar scrubbing beads. No harmful plastics here! It even contains shea to soothe after scrubbing. LOVE! Crazy Rumors Seasonal Lip Balms – Can you see that mistletoe? Get your gifts ready for smooches with Crazy Rumors! I’ve been a longtime fan of these kooky lip balms for good reasons: they taste amazing, and they make your lips super soft! This year they’re offering Gingerbread, Hot Cocoa, Cinnamon Bun (om nom nom), Peppermint, and a Plum & Peppermint mix. Their lip balms contain macadamia oil and essentials that keep lips soft and smelling amazing. Each flavor is under $5.00, which is a double bonus! When all else fails, try checking out some of the amazing cruelty-free BEAUTY BOXES like Vegan Cuts, Petit Vour, or Level Naturals and let your cruelty-free crew pick their faves! Merry Christmas, Happy Hannukah, Happy Kwanzaa, and a Joyous Holiday to you all!